We were looking for a cocktail to go with our Spicy Taco Bar Brunch. Delicious vegan tacos topped with Turtle Beans from the garden this summer. 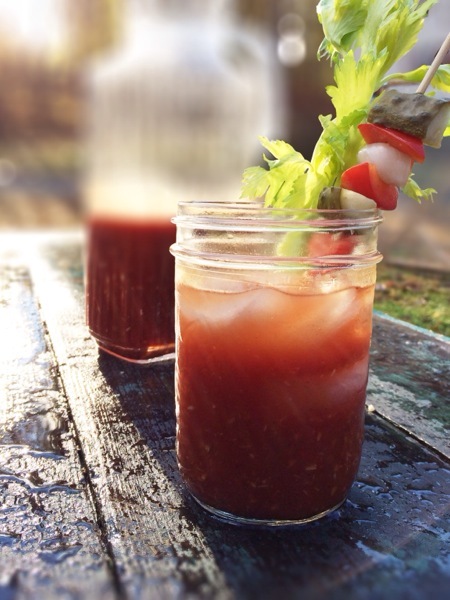 We decided on a Bloody Marymade with our Rudy's Hot Smoked Red hot sauce. Mix all the ingredients together in a pitcher and serve over ice. We used pickled shallots and cucumbers with splices of red pepper on a skewer for garnish along with the traditional celery stalk.